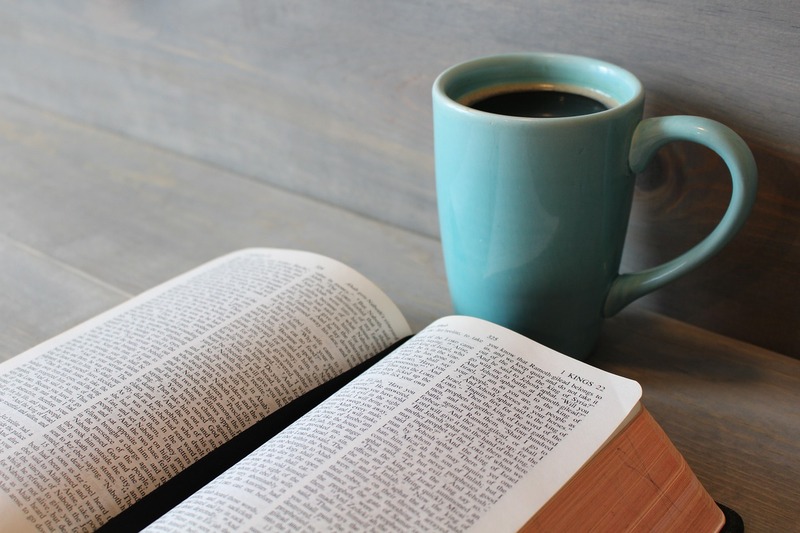 What Should We Do When We Don't Feel Like Reading the Bible? 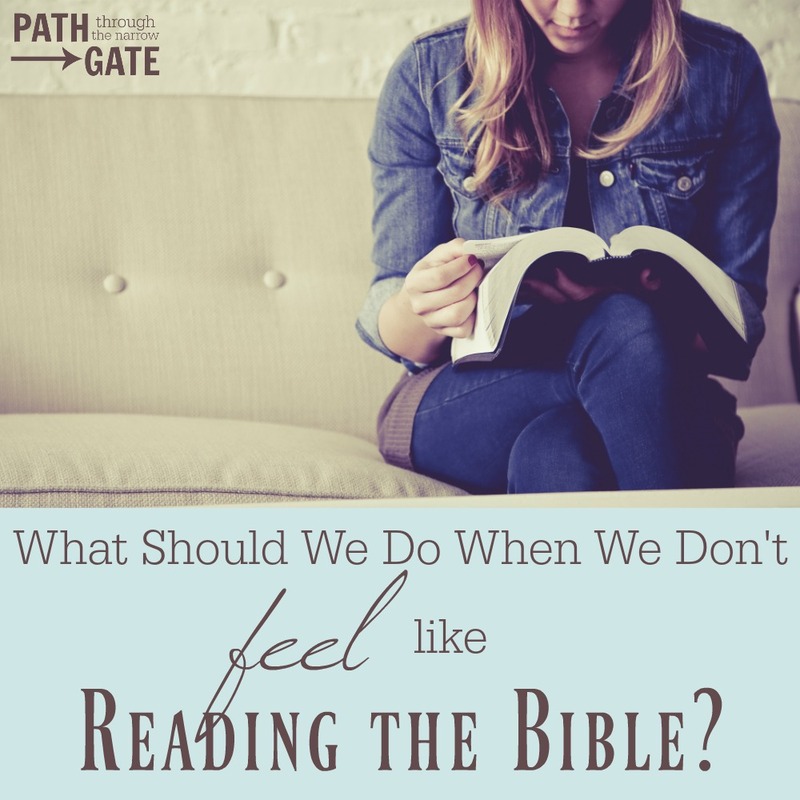 What Should We Do When We Don’t FEEL Like Reading the Bible? What do you do when you know you should read the Bible but you really don’t feel like it? Do you force yourself to read anyway? And, if you do, isn’t that legalistic? Have you ever been really, really hungry? Did your hunger affect your attitude? I struggle with hypoglycemia. When my blood sugar drops low, it is not pretty. I get physically weak, shaky, emotional, and I am unable to think straight. I often burst into tears at the least provocation, or I yell at people. It’s really, really not good. There’s only one way to combat this problem: I must intentionally eat high protein foods regularly, whether I want to or not. This morning, I ate a fried egg. I didn’t want to make that fried egg. And, I didn’t feel like eating it, either. But I knew that by 10:30 a.m., the results in my own attitude and outlook on life would be disastrous if I did not force myself to eat an egg in the morning. In the same way that I choose to eat an egg every morning, I choose to read the Bible each day. I wish that I could say that it is the chief joy of my day and that I never struggle with thinking of Bible reading as a chore. But, I can’t say that. Some days it is difficult to make Bible reading a priority. Some days are busy, tempting me to neglect Bible reading. Some days, Bible reading feels dry and monotonous and, frankly, like a waste of time. (Have any of you read through the book of Numbers? I know that it’s the inspired Word of God, but…) And, some days I feel apathetic in my relationship with God. And yet, I still desperately need to discipline myself to read God’s Words, even when I don’t feel like it. I know that, in the weakness of my sinful flesh, I need the Bible to help me get through each and every day. 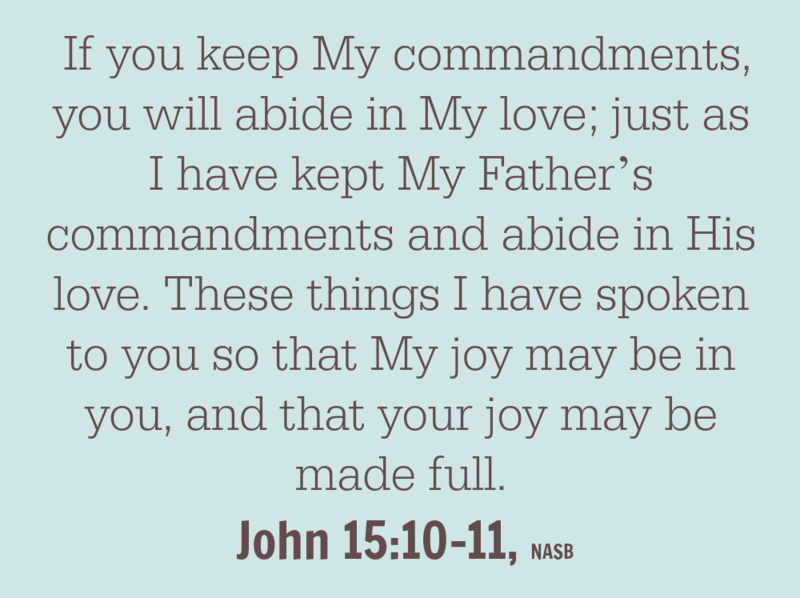 In John chapter 15, Jesus calls us to abide in His love. He reminds us that we can do nothing without Him. He commands us to abide in Him. How can we do that? Jesus tells us! We abide in Gods’ love by keeping His commandments. We can only keep His commandments if we know them. And, we can only know God’s commandments if we are in His Word. I do not read God’s Word everyday because this time spent reading will grant me favor with God and salvation. Jesus Christ has already done that in my place with His work on the cross. I do not read because I am hoping that God will reward me with a good day if I read and might punish me with a bad day if I don’t. Bible reading is not a good luck charm. Instead, I read God’s Word because I long to abide in Him. I read because I desperately need to have God align my heart with His. I want to follow God and obey His commands. Therefore, I must know what He expects of me. And, I can only know that through His Word. When we pick up God’s Word each day, we are inviting God to mess with our lives, to adjust our thinking, to align our hearts with His. We are abiding in Him. Sometimes our Bible reading tastes like fresh-from-the-oven pumpkin muffins and flavored coffee on a cold morning – full of joy and comfort. Sometimes our Bible reading tastes like a slightly overdone fried egg – dry and tasteless. 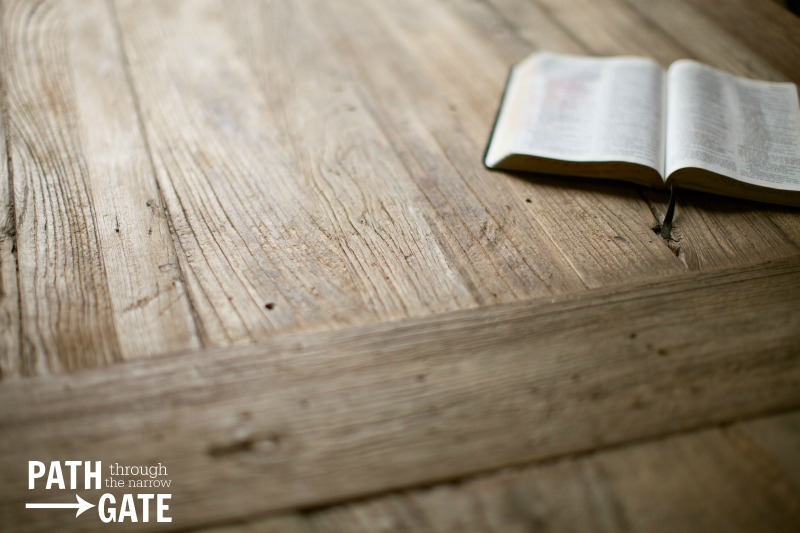 And, sometimes our Bible reading tastes like a multivitamin – convicting and hard to swallow. But no matter how we “feel” about our Bible reading, God’s words give us life each and everyday. As we read, know, and obey His Words, we grow to abide in His love and we begin to experience the joy that He has promised. So, what should we do when we don’t feel like reading the Bible? I believe that we should pick it up and read (or listen!) anyway. Because, that is when our hearts most need to be reminded to abide in Him and in His love. How about you? Do you struggle with daily Bible reading? Do you discipline yourself, or do you feel that is too legalistic? Why or why not? I would love to hear from you. Please scroll down to comment.